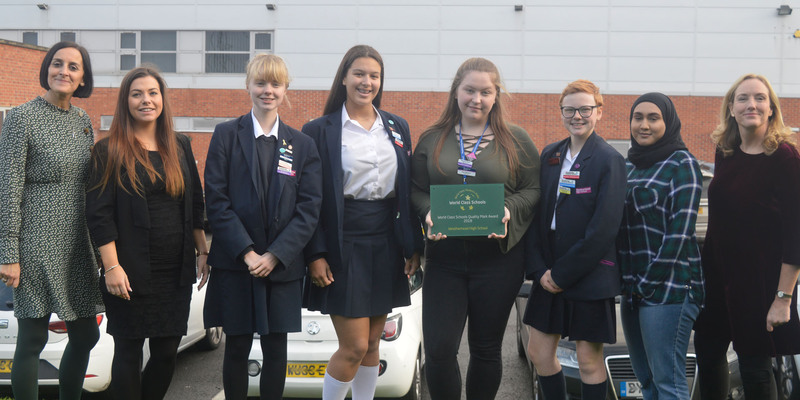 The World Class Schools Quality Mark (WCSQM) has named Weatherhead High School as one of the latest schools to have successfully completed the accreditation process and been awarded the status of World Class. Weatherhead High School received their award at the WCSQM Awards Ceremony, held at the Governors’ Hall, St Thomas’ Hospital, on 6th December 2018. The school will be closed on Friday 19th April (Good Friday) and Monday 22nd April (Easter Monday). We reopen as normal on Tuesday 23rd April 2019. Click here for details of support services for students and families. Click here to read the Headteacher’s Summer Term letter to parents/carers. Our School Council have been working hard researching and filming a news report for the BBC Young Reporter News Day 2019. Weatherhead’s theatre transformed into Hogwarts on the evening of Wednesday 6th February for Harry Potter Book Night.